Several CONNECT researchers from Tyndall National Institute and TSSG at Waterford Institute of Technology braved the mud and rain to talk to the public about their research at this year’s National Ploughing Championships in Tullamore. 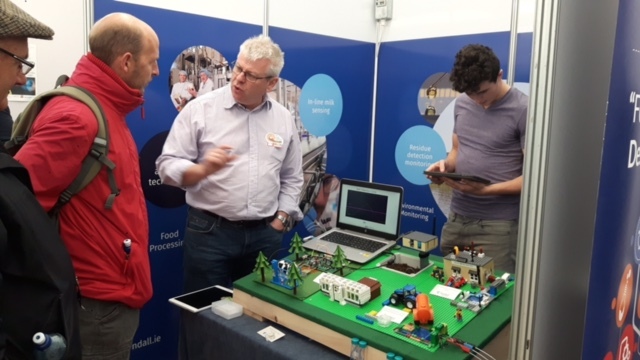 Dr Alan O’Riordan brought along an interactive lego-based Smart Farm to demonstrate the potential of Internet of Things technology for agriculture. 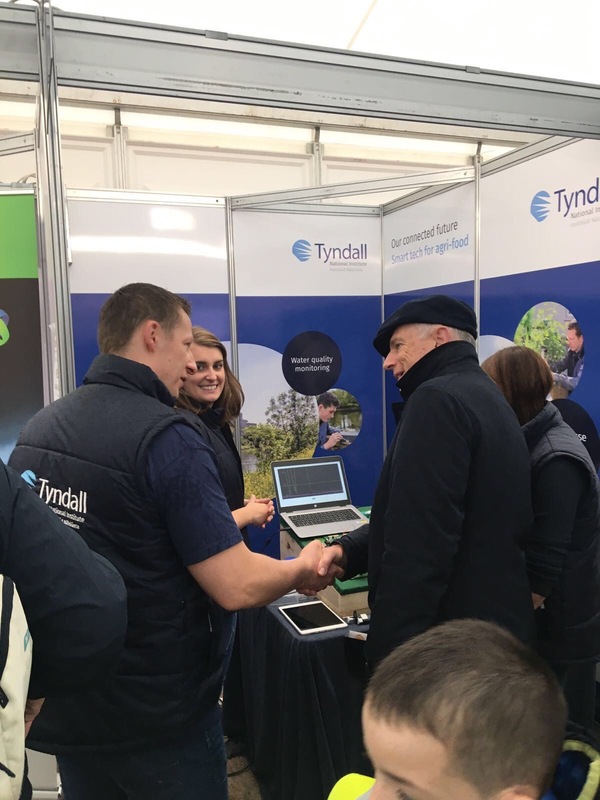 He was joined by several CONNECT researchers from Tyndall in the Enterprise Ireland Innovation Arena who answered questions and discussed possibilities with the public. 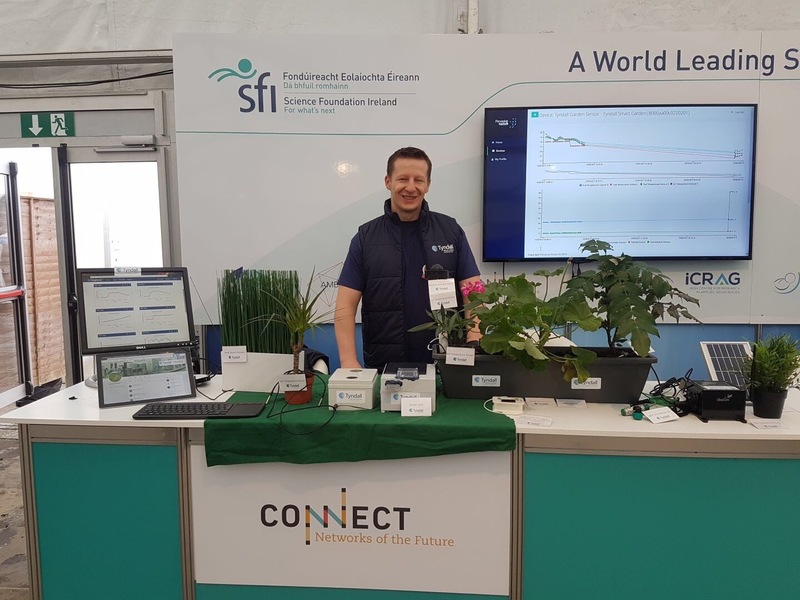 Dr Brendan O’Flynn and Mariusz Wilk meanwhile provided an IoT demo called ‘The Internet of Plants’ at the Science Foundation Ireland stand. Mohit Taneja and John Byabazaire, postgraduate researchers at TSSG, spoke to the public about their research into ‘Fog Assisted Application Support for Smart Dairy Farming’. Dr Alan O'Riordan discusses agri applications of IoT. 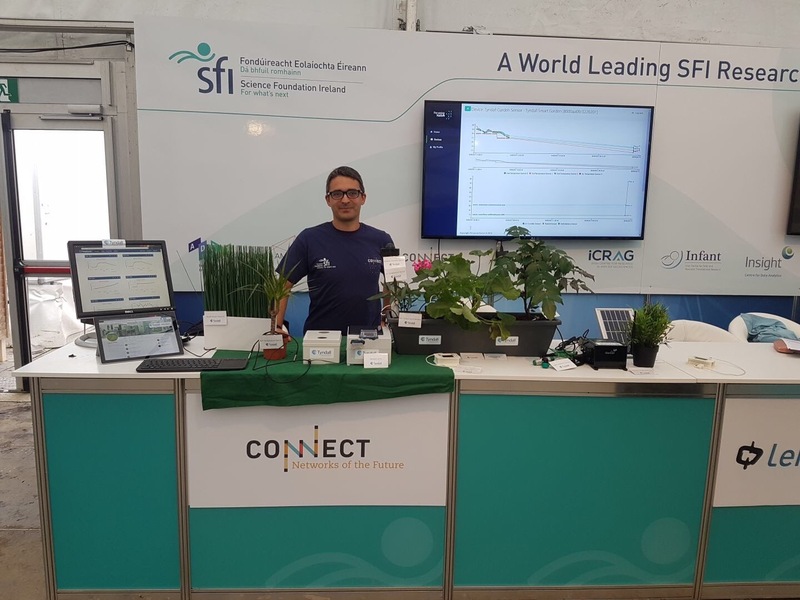 Dr Brendan O'Flynn leads the CONNECT presence at the SFI stand. Mariusz Wilk with the Internet of Plants. Mariusz Wilk talks about the potential of IoT at the Tyndall stand. 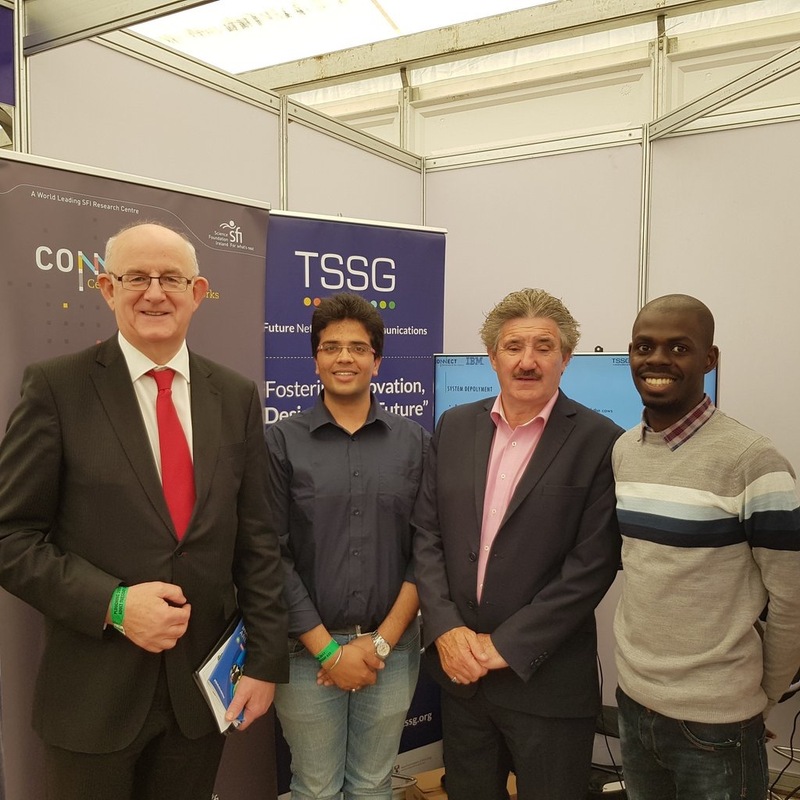 Minister of State, John Halligan, visits CONNECT researchers at the TSSG/WIT stand. 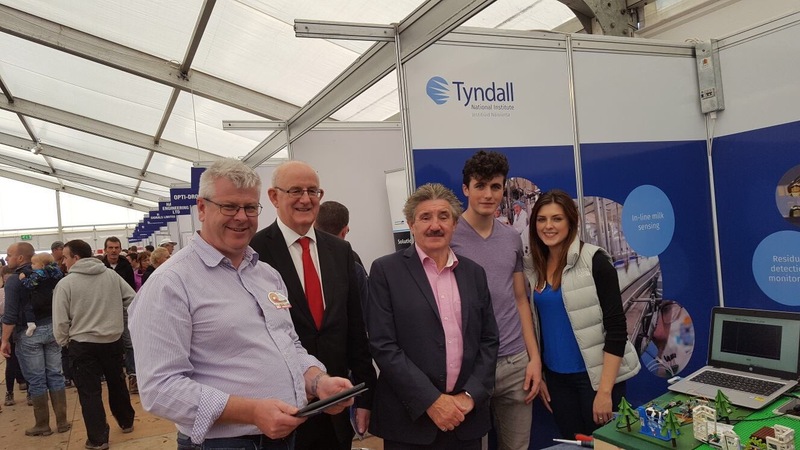 Minister of State, John Halligan, visits CONNECT researchers at the Tyndall National Institute stand. 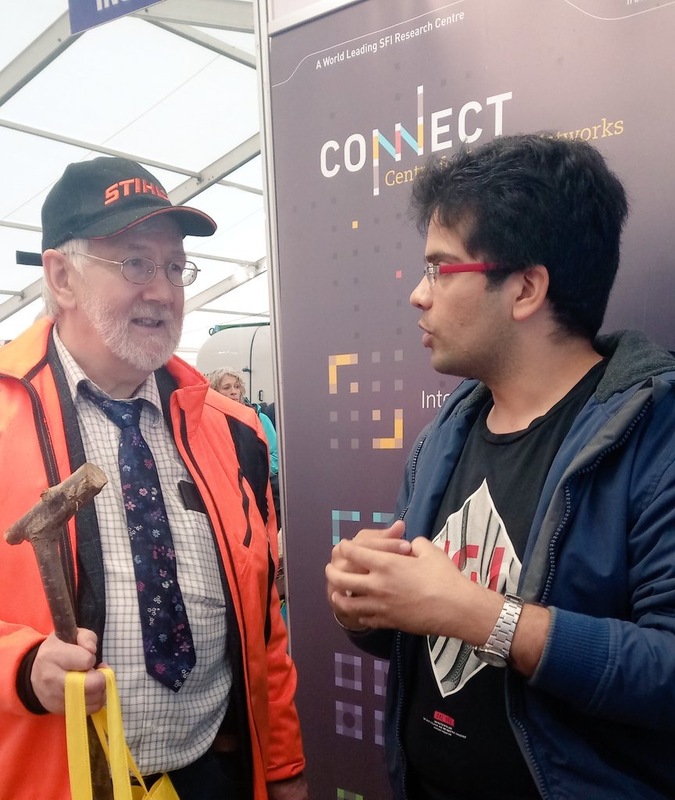 Mohit Taneja (CONNECT, TSSG/WIT) discussing his research at the Ploughing Championships.